How do you properly pronounce Ich spreche Deutsch? The transcription is not completely correct, as the 'ch' in 'spreche' is also pronounced /ç/ in standard German. 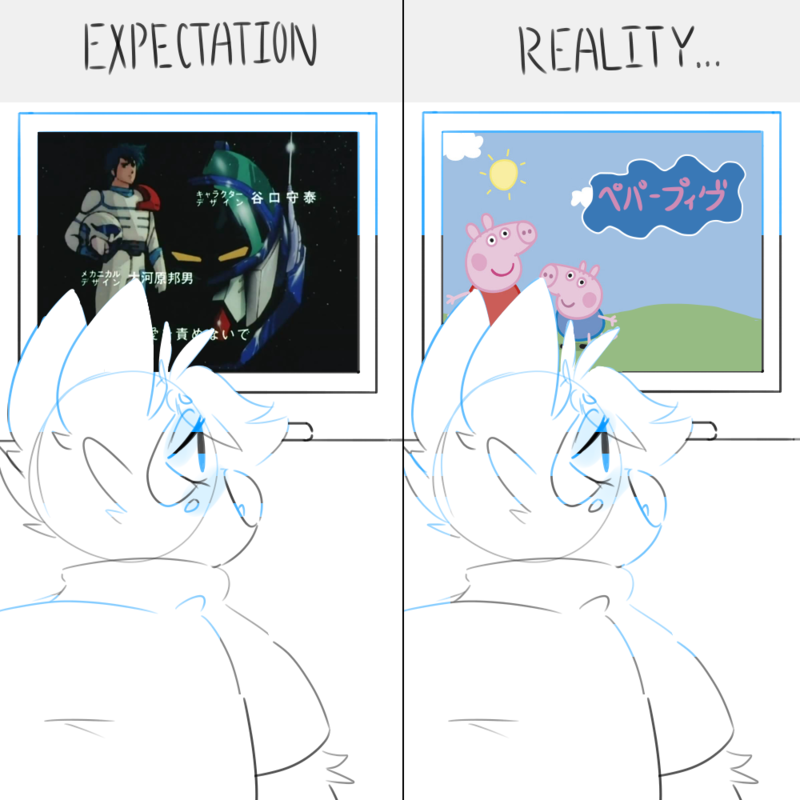 My bad, fixing now. Danke! I have trouble pronouncing it properly, but some advice I can give is to not pronounce the "ch" in ich and spreche as "sh". I've heard it automatically gives you away as a foreigner, and is actually supposed to be pronounced more like the "h" sound in the word hue. Also, I'm new to duolingo, but you've got an impressive list of languages going there! My language list is tiny compared to many other users on here. Thanks! 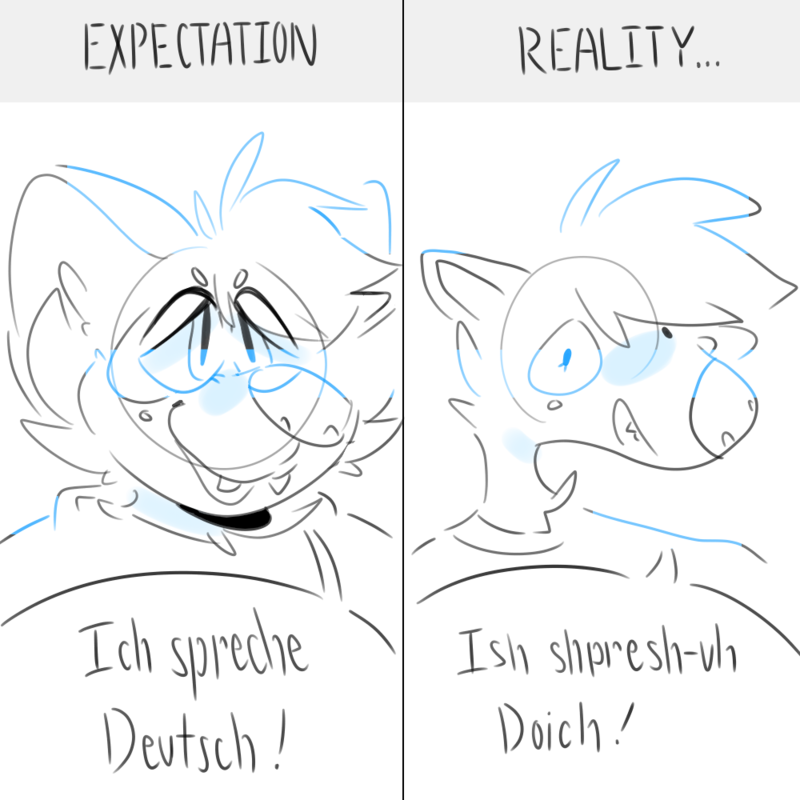 I think I can get the hang of the "ch", I was a little confused with spreche since it sounds like "shpreche" and Deutsch since it kind of sound like "Doich" to me. @calyncs Thanks for the tips! I thinks that's how they actually sound, but I'd need a native-speaker confirm that. Expectation: I want to learn everything they say in this K-pop song! And I can sign it overnight flawlessly! Reality: I understand literally 2 words and can probably read the pronunciation of the song name after I studied hard. Also am I pronouncing that right? Exactly my experience when studying Finnish. Despite all my studying I only usually recognize a few "hyvä"s here and there when listening to Finnish songs. I relate to a lot of these, especially the Danish one (but I also can apply it to Circassian, Georgian, Abkhaz, Chechen, and Ingush). Love your drawings! I wish that I could be as good as you! Thanks, that's very nice of you to say! Genau! Sehr lustig. Ich danke Ihnen für das Teilen. These are hilarious, and so true. Thanks for sharing them! Ich werde jetzt ein paar australische Sprachen lernen und dich bei deiner Eroberung der Welt Laveth Sama begleiten. Jetzt, müssen wir die Welt zusammen bereisen um alle Sprachen zu lernen! nice drawings. Shows that we should keep our expectations (goals) high and increase our work ethic and commitment to get there. Schöne Zeichnungen! Ich habe besonders "Mehrere Sprache studieren" gern. Die Wahrheit davon tut mir weh. Thanks, I liked reading them all. 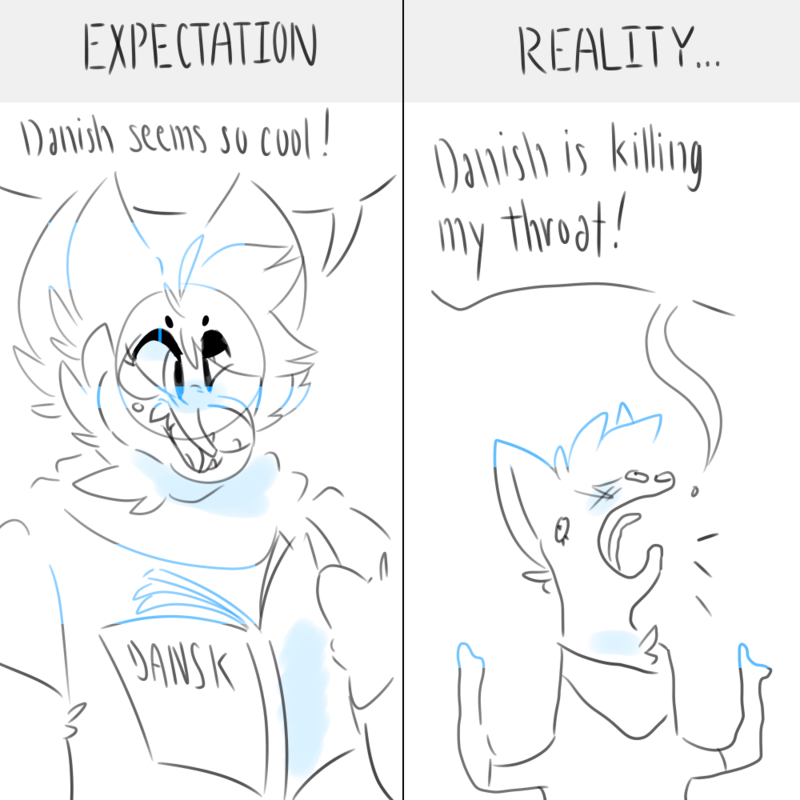 Dansk er et flott språk! Jeg skal studere dansk etter norsk. come on come on it now!!!!!!!!!!!!!!!!!!!!!!!!!!!!!!!!!!!!!!!!!!!!!!!!!!!!!!!!!!!!!!!!!!!!!!!!!!!!!!!!!!!!!!!!!!!!!!!!!!!!!!!!!!!!!!!!!!!!!!!!!!!!!!!!!!!!!!!!!!!!!!!!!!!!!!!!!!!!!!!!!!!!!!!!!!!!!!!!!!!!!!!!!!!!!!!!!!!!!!!!!!!!!!!!!!!!!!!!!!!!!!!!!!!!!!!!!!!!!!!!!!!!!!!!!!!!!!!!!!!!!!!!!!!!!!!!!!!! !